The AKDY 28″ Black Electric Firebox fireplace insert provides an excellent alternative to the traditional wood or gas fireplaces. Duplicating the beauty and feel of a real fireplace but without the issues, pollution or costs, this fireplace insert is one that most homeowners will love. At less than $200, it is also one of the best values on the market today for a electric heater-fireplace combo. If you are not a fan of sleek contemporary inserts, then this is for you. The brick and log traditional design closely resembles that of a traditional log fireplace. The exterior is black with a curved front panel glass. There are also fake doors and knobs on the front to complete the traditional look. However, this is not to mean that it will only fit in a traditional style décor home. 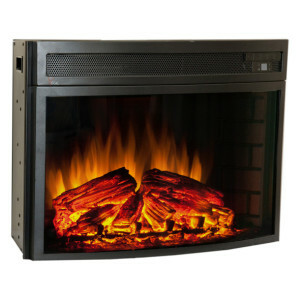 If you have a more contemporary interior, then the AKDY black electric fireplace insert could provide a nice contrast. For an even more rustic look, you can remove the front glass panel. The build is solid, with no hint of cheapness or subpar quality. The flames look very realistic, giving the whole device a feeling of home. It’s perfect choice for those who want a modern, efficient fireplace but with a classic look. 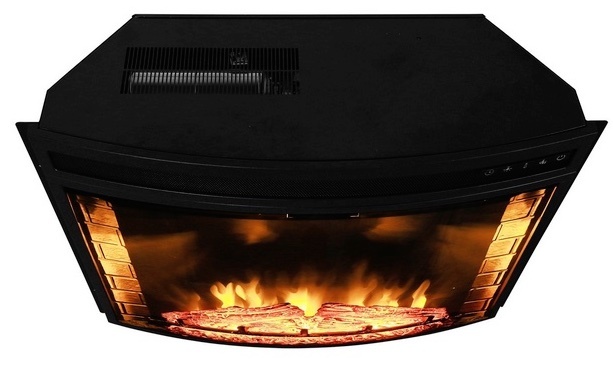 The AKDY black electric fireplace insert is not just good-looking; it is also an excellent room heater. 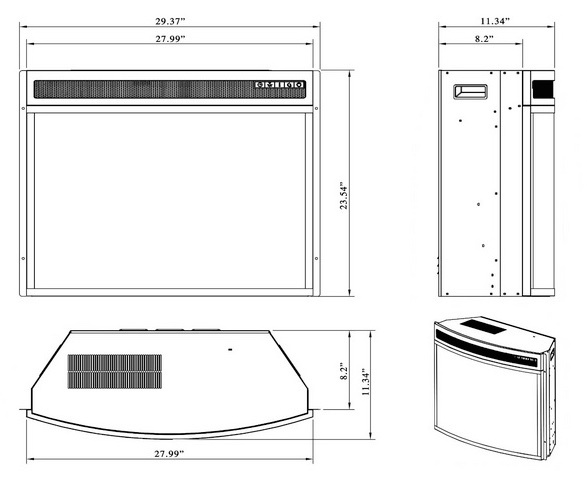 At 1500 watts, the insert can comfortably heat a typical room of 400 square feet or smaller. Please note that you will experience a poor heat output if you use it in a large room. Use it in relatively small spaces for the best heat performance. To help with heat output, the insert contains a single quiet-operation fan. The heat is controlled automatically by a thermostat, which maintains temperature at a constant level. Also note that you can turn off the heat, leaving just the flames burning. This makes it ideal for use all year round. The noise level of electric fireplace inserts can be an issue with some units. Some come with unpleasant crackling sounds, while others have a loud constant hissing while others have a fan that is too loud. The AKDY black electric fireplace insert has none of these issues. In fact, it is one of the quietest electric fireplace inserts you can buy. There is no hissing or crackling, and when the fan is running, you will hardly notice it. 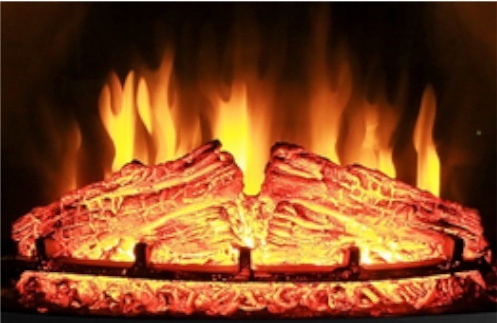 The flame effect of a fireplace insert is one of the most important aspects. The feel and look of the faux flames is the whole reason why people buy these devices. This AKDY insert does not disappoint when it comes to recreating the traditional flame appearance. The company uses a patented electric flame technology to create a very realistic look. You can modify the flames further using the remote control to get the perfect look for you. One other aspect that the insert performs very well is the ember bed. When turned on, it has the look of real burning logs. When you turn the flames off, the device does not turn completely dark, it produces the appearance of glowing embers. Enjoy the AKDY fireplace insert from the comfort of your couch. With the accompanying remote control, there is no need to keep standing up to change a specific setting. 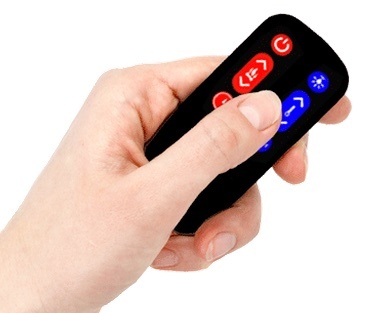 The compact remote contains settings for power on/off, temperature, flames and brightness. Create the experience you want with the touch of a button. If you happen to lose the remote or if it is damaged, the top of the front panel contains buttons to change the settings. Priced at about $200, this is one of the best value fireplace inserts you can buy today. It looks really nice, has great heat output and works seamlessly without any hustles. There is no tearing-up of walls or installing ventilation with this insert. If you have an existing fireplace, just stick it in there and you are good to go. The unit comes with instructions to help you with the installation. You can also install it in a shelf or a cabinet. With the clear instructions, you can do the installation yourself. • A patented electric flame technology designed to be as realistic as possible. • Can be plugged into a standard 120V outlet. • Thermostat controlled heat output. • One year warranty for the insert and log sets. • After installation the visible part of the insert measures 28 inches long. When you include the flange, it measures 29.37 inches. 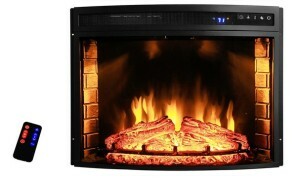 The AKDY fireplace insert get very positive reviews from customers. It currently has a rating of 4.2 out of 5 stars on Amazon.com. Most customers compliment the overall design of the insert, specifically noting the realistic flame technology and the nice exterior look. Many also love the simple installation process. The heat output has also been satisfying to most users. One of the biggest concerns involves using the insert in a big room. As mentioned before, the heat output is designed for a room measuring a maximum of 400 square feet. If you use it in something too big, you will not get the heating effect you are looking for. Use it in a larger room if you only want the insert for its look. Another common concern with customers involves the remote control. It is a bit small and can easily get lost, forcing you to have to stand up to change the settings or turn the insert off. Simply put, the AKDY fireplace insert is an excellent value. It performs really well in different areas, and in some cases does even better than more expensive models. For people who want a fireplace insert that is simple, cheap and beautiful, this is it.